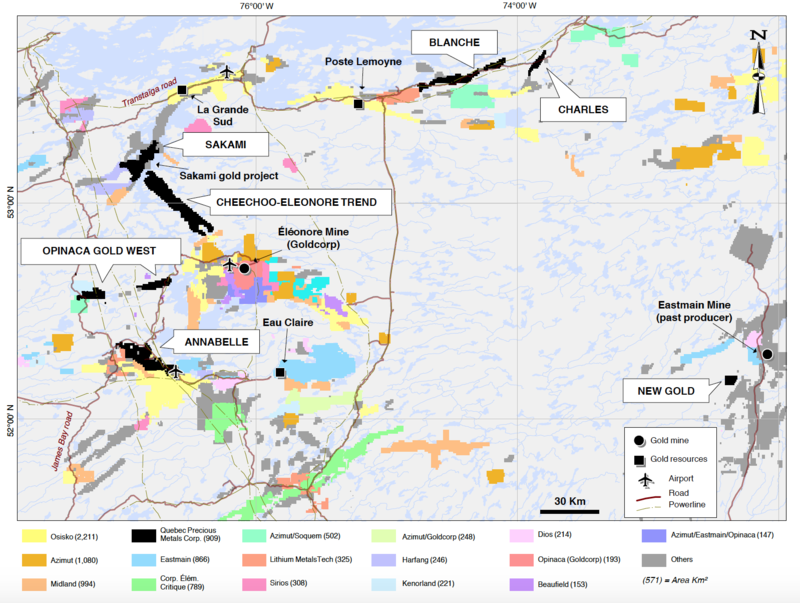 QPM is a new gold explorer with a large land position in the highly-prospective Eeyou Istchee James Bay region, Quebec, near Goldcorp’s Éléonore gold mine. QPM’s flagship project is the Sakami project with significant grades and well-defined drill-ready targets, to advance rapidly to the mineral resource estimate stage. With a focus in the James Bay region of Quebec and the backing of Goldcorp, who investing $3.7 million back in June, the Company is actively exploring the Sakami Project. 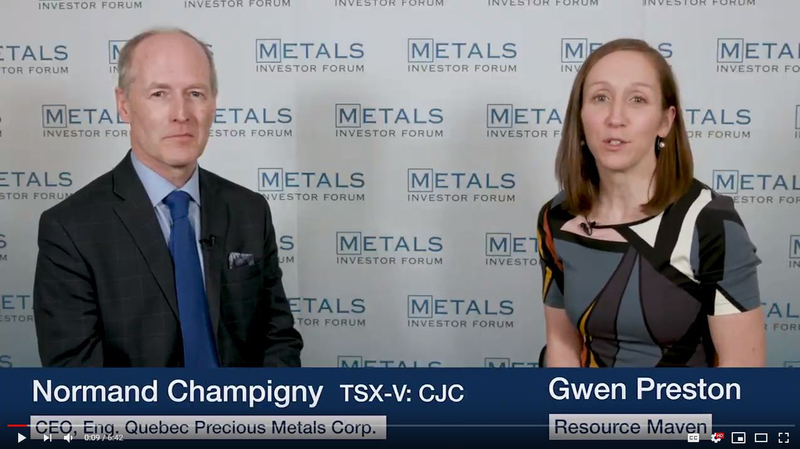 President and CEO Normand Champigny talks about the background of the Company, current strategy and future plan’s, which include an additional 15,000m of drilling to potentially identify a resource. Quebec Precious Metals (TSX-V: CJC) is a newly created company with excellent management teams, great financials and promising properties focusing on gold exploration in the highly attractive James Bay gold district in northern Quebec. In addition, Mr. Champigny had the chance to interview with Gwen Preston and fellow industry expert, Greg McCoach, The Mining Speculator. Click below to watch the interviews. 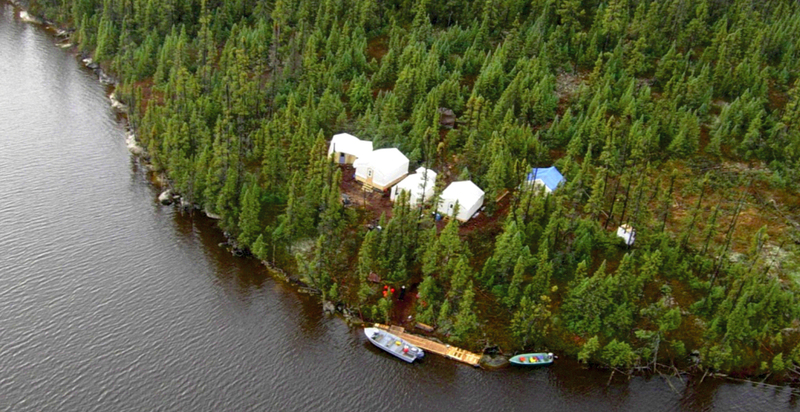 The Sakami Project exploration camp in the James Bay region of northern Québec. The Sakami Project is located 90 km northwest along the same geological trend from the Éléonore Mine. […] The Sakami Project covers about 23 km along this trend, with several known target areas and other land open to new discoveries… Read full article here. At the end of June 2018, Canada Strategic Metals Inc. and Matamec Explorations Inc. closed a business combination transaction to create a new James Bay-focused gold exploration company headquartered in Montreal, named Québec Precious Metals Corporation (QPM)… Read full article here. Our objective is to identify a multi-million ounce resource at Sakami and to advance the project towards realizing its full potential. We will also continue exploring and evaluating other projects in the Eeyou Istchee James Bay territory in Quebec. Quebec Precious Metals Corporation is a Gold Exploration company focused on James-Bay area in Quebec. Flagship project Sakami is located in a district-scale land package with multi-million ounce potential. Goldcorp is investing $3.7M to acquire a 14 per cent interest in a new combined exploration company in the James Bay region of Quebec. 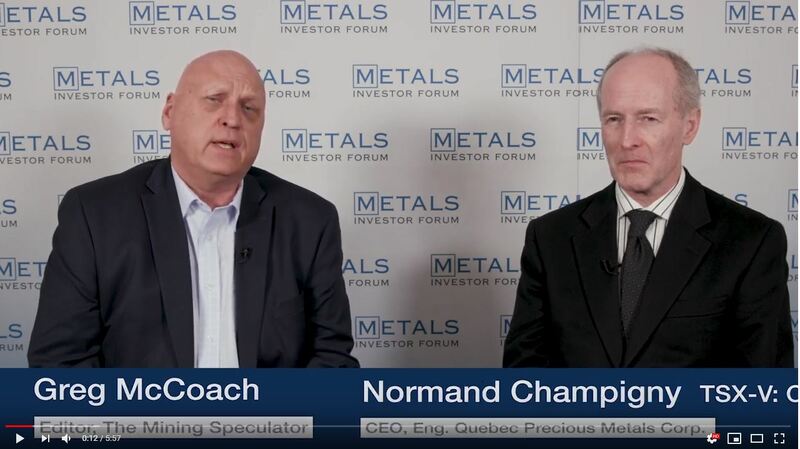 BNN speaks to Normand Champigny, CEO of the combined company named Quebec Precious Metals Corporation. Goldcorp is investing $3.7 million to acquire a 14% interest in the new Quebec Precious Metals Corp. The new company will combine the assets of Montreal-based Canada Strategic Metals, Matamec Exploration, and Sphinx Resources.